Hi, you have given best SEO guidelines for a newbie in SEO. With the help of your provided guidelines, a newbie gets an basic idea about what is exactly SEO means.Thanks for providing that. Thanks for sharing such a nice post. Good Work. Keep it up !!! Vinay good work...within a week such a drastic change? It was indeed great to go through your blog. U have provided information on such a sophisticated term in very simple and easy words. Hi you have made a great and very informative blog.All the best. Excellent Vinay. Very well expained and presented. This will be definately helpful to newbie in SEO field. Well done Vinay. Very informative blog. Keep it up.. 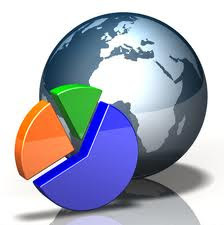 It has All The Information That An Search Engine Optimizer Will Look For. Enjoyed ur blog.. Its great effort..
Hi Vinay, Good to see u on blog.Your IMP SEO Tips is really nice.Go Ahed & update it with new IMP's of SEO. hi vinay.. you have provided good information about SEO..! Hi am new user...i like your all post..